It's the end of September and there's a chill in the air. Cold weather means bundling up, especially for little ones. 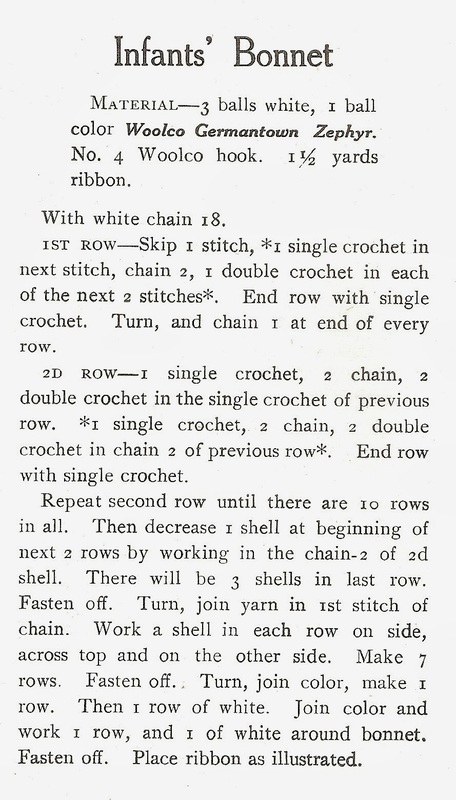 These two vintage crochet patterns fit the bill perfectly! They are as adorable now as they were "back in the day" and will stitch up very quickly. 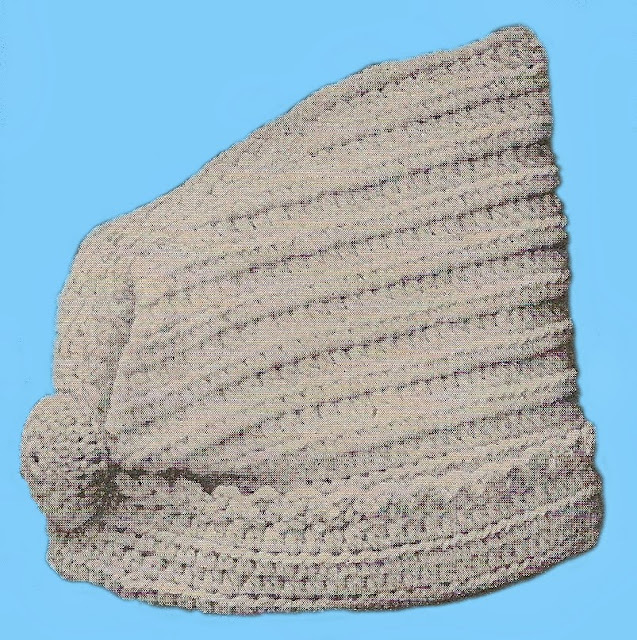 The first, a toque, would be perfect for a boy or girl and is super easy to make. 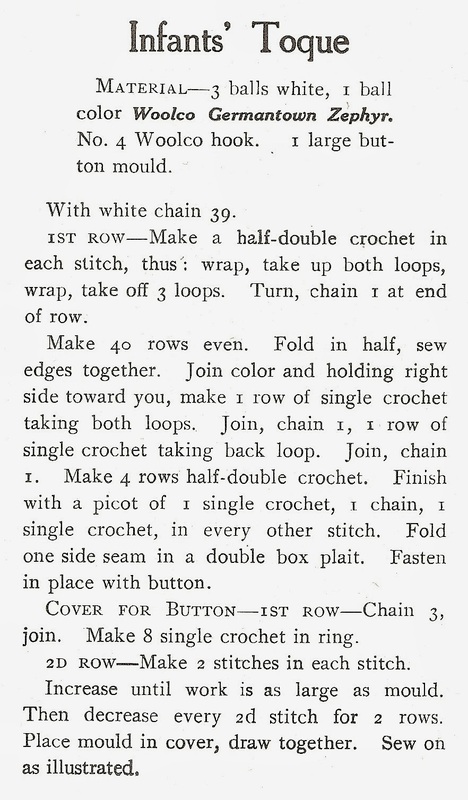 The second vintage crochet pattern is for a bonnet and it too would be perfect for either a boy or a girl. 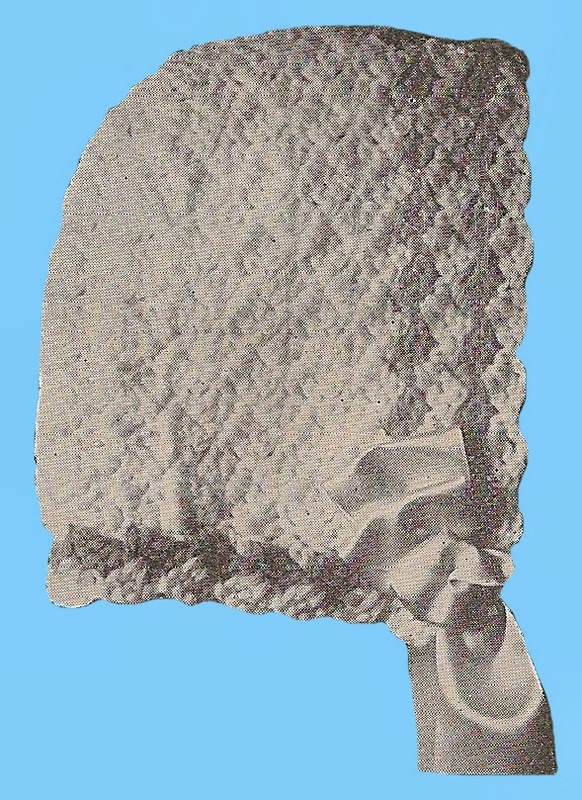 In fact, because it ties with a ribbon at the chin, it would probably be preferable for a younger baby because the ribbon will help it stay in place. Both the cap and bonnet can be made in various color schemes to match jackets and coats. And, with the holidays coming up, these would also make lovely gifts. I'm thinking of some lucky nieces and nephews this Christmas! 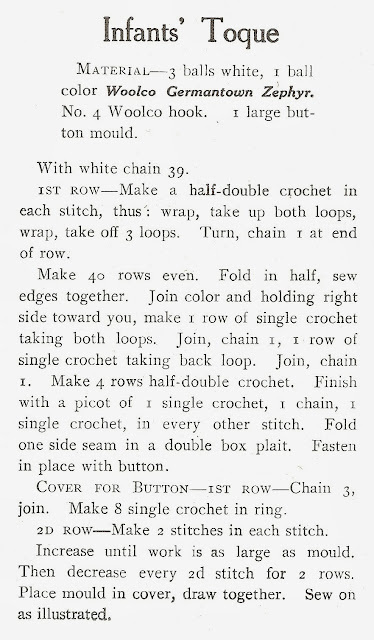 I'm so pleased to share these free vintage crochet patterns from my vintage pattern book collection -- enjoy and happy stitching! 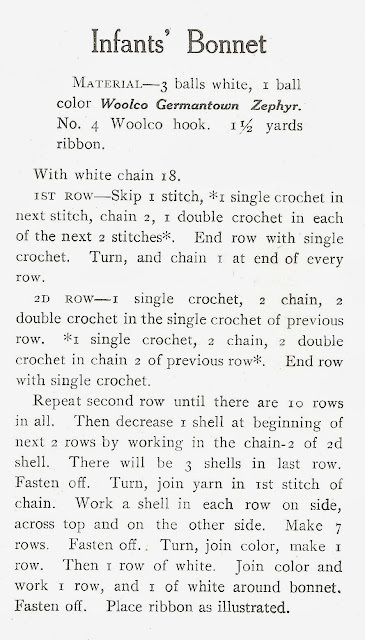 Free Scottie Dog Knitting Pattern Plus Bonus!